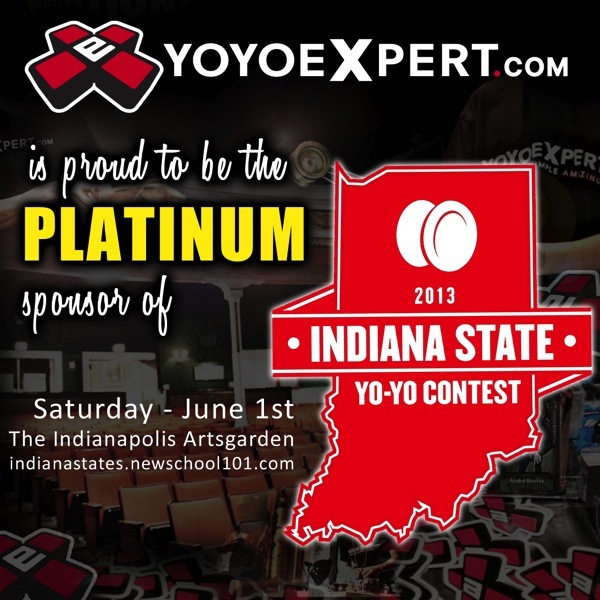 YoYoExpert is proud to be the ‘PLATINUM’ sponsor of THIS WEEKENDS Indiana State Yo-Yo Contest! This contest will take place THIS Saturday June 1st starting at 10 AM at the Indianapolis Artsgarden in Indianapolis. André Boulay will be there running a YoYoExpert booth with free trading cards and YoYoExpert ‘Contest’ T-Shirts so stop by and say ‘hello’! For more information check out their website here!